MICHAEL A. VENTRELLA: I used to have a policy where, if I had interviewed someone once for my blog, I wouldn’t do it a second time. Then I thought “Why not? Authors have new books and new things to talk about. Why limit myself? So here today is author (and friend!) Ryk Spoor. You can read his previous interview here. Ryk, you and I seem to have similar experiences growing up. I went to the library weekly and pored through Danny Dunn and all the old Wizard of Oz books … However I haven’t read any Oz books since then with the exception maybe of the Philip Jose Farmer one back in the 70s. What made you decide to write one? RYK SPOOR: Heh. “Decide” isn’t exactly the right word. More like “Found myself compelled to do so”. VENTRELLA: Well, good point. So tell me about it! What compelled you? SPOOR: It started with seeing a rainbow on the way home from work one day. This rainbow was truly extraordinary; it persisted for something like 15 minutes, which in this area of the world is virtually unheard of, and it was extremely brilliant, against a backdrop of very dark clouds. I managed to get some not-very-good-pictures of it using my phone, one of which was used as the background for the Kickstarter image. 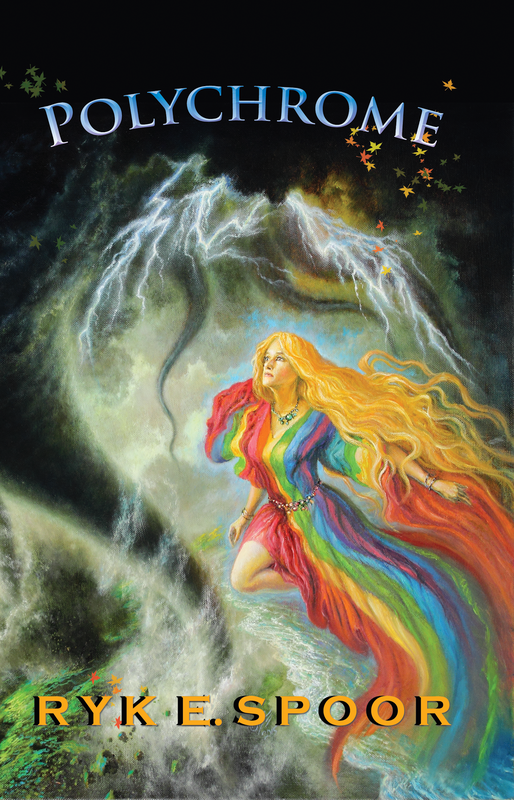 Now, of all the Oz characters, it was Polychrome, the Daughter of the Rainbow, that I’ve always liked best. At one point, while I was driving, it looked as though the rainbow was coming right down into Westgate Plaza, and I had a sudden vision of Polychrome dancing down the rainbow and ending up in that parking lot. That single image stayed with me, and started to build a plot around it. I tried to ignore it, as this was one of the least salable ideas I could imagine, and the plot that was being built up was quite unashamedly Mary-Sue in the extreme. But the damn thing wouldn’t go away, and one day it suddenly leapt back into my consciousness with all of it detailed — the heroes, the villains, the plot, key events and awesome scenes, all of it, and it took over. TOOK OVER. As in, it took my other writing hostage. “Nice deadlines you have there. Shame if something were to happen to them.” I found I had to write at least one chapter of POLYCHROME a week, or I couldn’t write anything else! VENTRELLA: What was it about Polychrome that interested you over other characters? SPOOR: Well, in all honesty it was a preadolescent crush to begin with; the imagery was just so beautiful, and I associated her of course with rainbows, which are to me one of the most wondrous sights in the real world, so that combined with John R. Neill’s illustrations made me absolutely fascinated with her. She had the typical cheerful confidence of most Baum heroines, but also — within the limits of that era’s writing — a power that most other characters didn’t have, shown most clearly in a couple of scenes where she demonstrates that she is utterly beyond the ability of most beings to even touch if she doesn’t want them to. This is probably seen most obviously in the non-Oz book by Baum called SKY ISLAND, and in one scene in Tik-Tok of Oz where the Nome King tries to catch her and she simply humiliates him. She was also shown just enough to tell you that there was a lot more to her, but not enough for you to feel you really knew her, so there was still a mystery to her. VENTRELLA: So give me a hint of the plot and make me want to read another Oz book! SPOOR: The basic plot of POLYCHROME is simple: two of the oldest enemies of the heroes of Oz join forces and use a revised version of a previously almost-successful plan which allows them to actually conquer Oz, including putting all the original heroes — Dorothy, Ozma, the Scarecrow, Tin Woodman, Trot, Glinda, the Wizard, et. — out of the picture. Polychrome’s the only character who manages to get in and out of Oz during the disaster to deliver intelligence to her father, the Lord of the Rainbow, as to what was happening, and how — just possibly — Oz can be saved. In POLYCHROME, it’s explicit that Oz itself is the center of the Faerie realms, so its fall has terrible implications for all of Faerie. 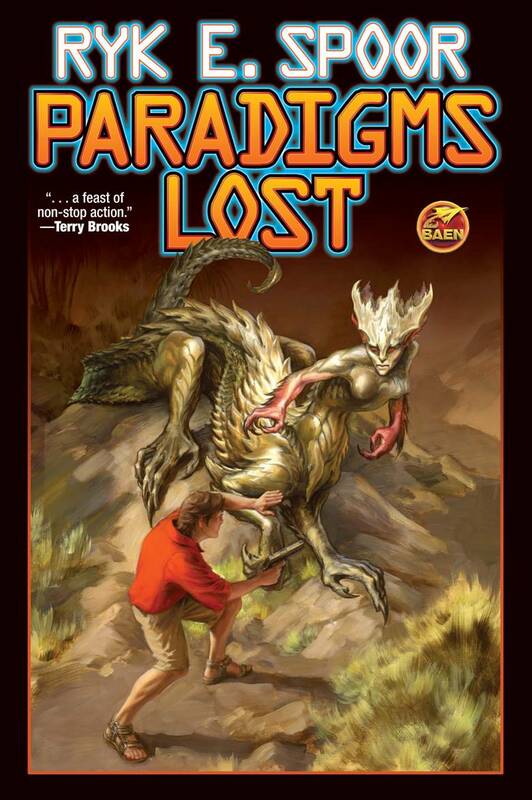 Part of the prophecy that guides them requires, of course, another Mortal from the Outside World to help them — that’s been pretty much a constant for Oz — and eventually Polychrome has to go and find that Mortal. He’s … not exactly what she was hoping for. VENTRELLA: A new character of your own creation? SPOOR: Yes, and as this is a book aimed at an older audience (adults rather than children) an adult mortal rather than the children usually the focus of the main Oz books. As I said, it was rather unabashedly a Mary Sue, so the fact that Erik Medon’s first name is the same as my middle one is not coincidence. That was one factor that kept me from trying to even submit it for publication for a long time. VENTRELLA: Was it difficult writing a character you didn’t create? Did you feel limited in any way? VENTRELLA: What is it about Oz that still interests us? SPOOR: The Oz books were the Harry Potter of their day, something a lot of people don’t realize; at their peak, they were translated into over 40 languages and their releases were major events in the book world. This wasn’t an accident. There’s a lot of powerful elements of the Oz books, for anyone willing to pick them up and read. One of them, especially for people thinking back to the era in which they were written, is the focus on strong female characters. Dorothy Gale changes Oz pretty much single-handed through her courage and forthright approach to things. The ruler of Oz is Ozma (a beautiful girl fairy who was once a boy — a boy who was the main character of one entire Oz novel until he was changed back to his/her true form at the very end; talk about mind-blowing stuff for a kid to encounter years ago). Other books have Betsy Bobbin and Trot, and side characters such as Polychrome, Glinda, and even Jinjur show that women are at least as much the movers and shakers of Faerie as are men. Unlike the movie, the books depict Oz as completely real, which is very important. Dorothy wasn’t going through some kind of dream therapy in THE WONDERFUL WIZARD OF OZ, she was going through real and dangerous adventures on a quest to return home. This adventure changes her, and those she meets, and she finds herself on other adventures many times — ones that often have quite creepy, even horrific, imagery associated with them. Oz and its environs, despite the often childish surface appearance, are neither safe nor easily comprehended. This allows the books to retain a certain power, an ability to interest and hold interest, that less complex children’s works have trouble managing. This isn’t to say they’re without flaws; the language is often outdated, and there are some quite obviously sexist and racist components that can make a modern reader wince, but if you can get past that they’re still very strong works. There have been a lot of Oz follow-ons over the years, as well as re-interpretations of Oz . As a side note, one of the things that makes POLYCHROME different is that it is neither a follow-on for children, nor a drastic re-imagination of Oz, nor a parody or deconstruction, which pretty much covers all of the later Oz-based works I know of. It’s a serious adult novel that tries to take as much of the original works seriously as possible. I really don’t like deconstructions much in general, and deconstructions of Oz tend to really push my buttons. I can’t read Maguire’s WICKED and sequels; it’s clear he’s read lots of Oz, but what he’s doing to Oz makes me froth at the mouth. He’s a good writer — I could tell that much from the parts I could make myself read — I just can’t deal with the approach. To my surprise, the SciFi channel Oz reimagining “Tin Man” actually worked well for me. It looked like it would be a total trainwreck, but the more I watched the more I realized there was some very much Oz-like material underneath, and there were some nods and comments that showed the makers were aware of the books — something that’s not all that common these days, alas. Philip Jose Farmer’s A BARNSTORMER IN OZ is another one that I can’t stand. Farmer’s got some particular approaches he tends to use when he’s re-imagining other people’s works (as he’s done with Tarzan, Doc Savage, Etc.) and for some it works; for Oz, his approach makes me start waving a sword and shouting “BURN THE BLASPHEMER”. Some of the later follow-on books worked fairly well; there’s a generally accepted “larger canon” beyond Baum’s original 14 books which is the “Famous Forty”, and I really like the last one of those, MERRY-GO-ROUND IN OZ. A lot of the child-targeted ones have been written by people well educated in Oziana and thus are reasonably strong entries on their own to the mythos of Oz. 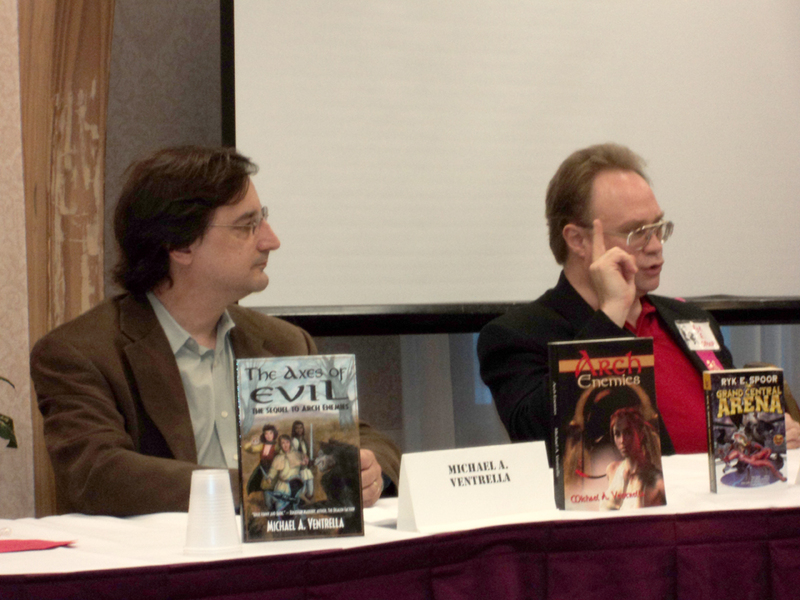 VENTRELLA: I do recall being surprised as a kid when I read the original book and realized it wasn’t a dream after all. What did you think of Disney’s “Return to Oz” back in the 80s? It bombed but I recall enjoying that tremendously when I saw it in the theater. SPOOR: “Return to Oz” was an exceedingly clever movie, combining parts of THE MARVELOUS LAND OF OZ and OZMA OF OZ (the second and third books) while trying to tie it in with the original movie. I liked it quite a bit, although anyone getting the mythology of Oz from that movie is going to be pretty confused if they go back and read the books. It is, however, reasonably “Ozzy” and most Ozites I know find it pretty good as well. VENTRELLA: Any other Oz books or films you’d like to discuss? SPOOR: Most of my Oz focus is on the original Baum books, of which there were 14. My favorites are probably THE LOST PRINCESS OF OZ, which features one of the two main villains of POLYCHROME, and RINKITINK OF OZ, which has a lot of significant information relevant to POLYCHROME too. Oddly, one of my least-favorite of the original 14, THE TIN WOODMAN OF OZ, provided me with my second villain. I actually can’t think of any other really significant Oz-related material that I have personally seen. There have been a few animated series, at least one from Japan that is supposedly quite good, but I’ve never seen any of them. VENTRELLA: So let’s talk about the publication of the book. You have an agent; you have a publisher; why did you decide to self-publish this one? SPOOR: In short, because no publisher would take it. Several of them expressed some interest, and one held onto it for almost two years waffling about whether they would or wouldn’t, but in the end they said “no”. Much of this had to do with the fact, as I mentioned before, that this is neither fish nor fowl from the point of view of publishers. Mari Ness mentioned the same thing in her review of Polychrome; it simply doesn’t fit in any of the categories that people would expect to find “Oz” stuff in — reimagining, parody/deconstruction, or straight-up follow-on. VENTRELLA: Plus it was for adults. SPOOR: That’s exactly why it’s neither fish nor fowl. 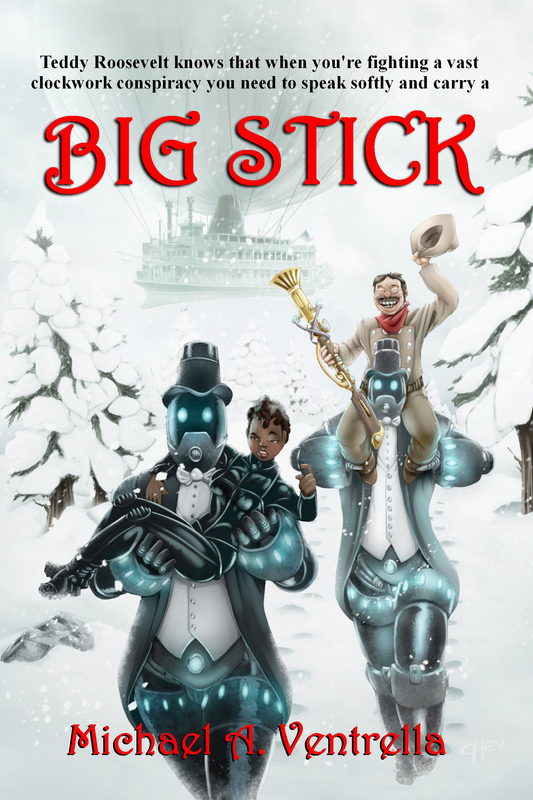 It’s a book that takes Baum’s canon as seriously as possible, while telling a story that full-grown people can read without saying “really, it’s for my kids”. VENTRELLA: So you did a Kickstarter. How did you publicize it? Do you consider it successful? SPOOR: I publicized the Kickstarter basically by mentioning it in as many places as I could, having people who’d expressed an interest in it to at least push it where they could, and putting up a Project Wonderful ad campaign for it. Which ones were most successful, I don’t know. 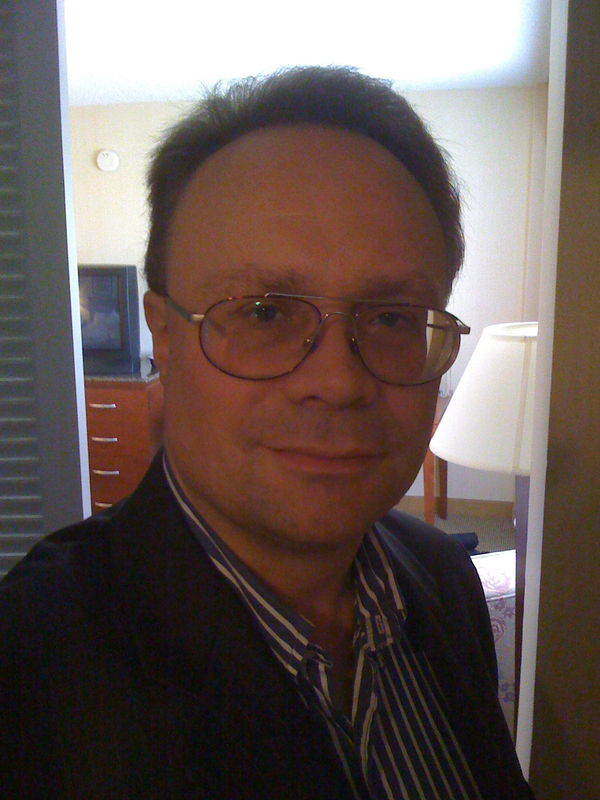 As a published author, I do enjoy a certain advantage in this area in that I have a fair number of people familiar with my work and thus with a reasonable confidence that they can rely on my writing to entertain them. Yes, it was quite successful; not only did I make the base goal, I also made the first “stretch” goal which allowed me to get a cover from the legendary Bob Eggleton. VENTRELLA: Getting an Eggleton cover is indeed an accomplishment! So this is a PoD? Who do you have publishing it? SPOOR: It is indeed, and the resulting cover is just stunningly gorgeous. It is both an ebook and PoD. There are three separate physical versions — the Trade Paper, which is from CreateSpace, a regular HC from Lightning Source, and a very fancy deluxe hardcover with dust jacket from Lulu. Oddly, individual customers can order the TP or the super deluxe HC themselves, but not the regular HC. VENTRELLA: So are you satisfied with this? Do you think you’d do this again? SPOOR: I’m overall satisified with the outcome, though I’ve learned a lot of lessons along the way. Yes, I will likely do this again with things my current publisher won’t take; currently that’s two works, one a superhero-based novel and one that’s a somewhat peculiar space opera. 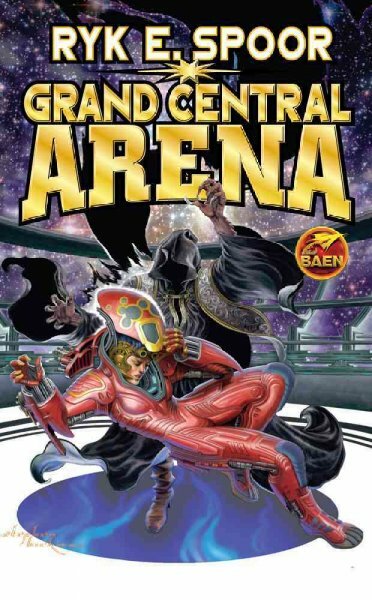 (I find I cannot entirely predict what Baen will take; sometimes I send them things thinking “They’ll take this in a shot” and they say “nah, not our thing”, and other times I send in something thinking “Not in a million years” and they send me a contract). VENTRELLA: So what’s in your future? What are you working on now? 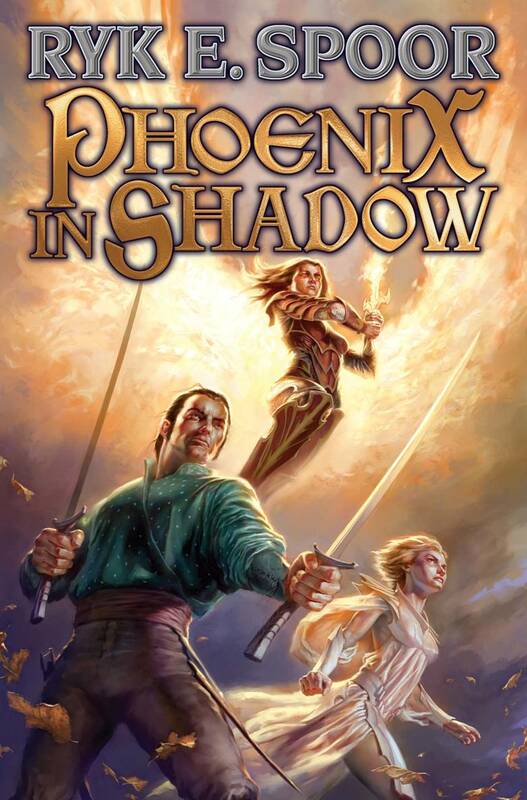 SPOOR: Well, the second book in the Balanced Sword trilogy, PHOENIX IN SHADOW, is coming out soon (May 5th). I’ve just turned in the conclusion to the trilogy, PHOENIX ASCENDANT, so I figure that should be out around a year later. 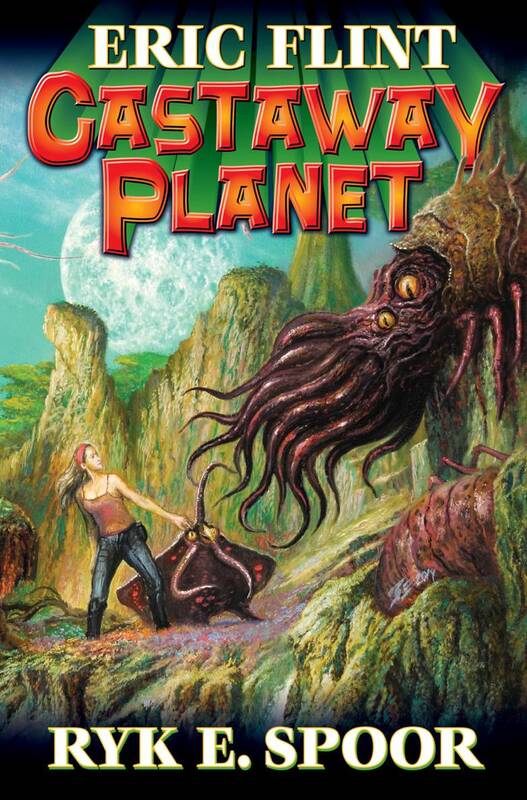 I’m currently working on three books: CASTAWAY ODYSSEY, a sequel to CASTAWAY PLANET, answering the question at the end of the first book as to just who “Someone else” was that was on the planet our castaways were on; CHALLENGES OF THE DEEPS: Third in the Arenaverse, where I’m going to have Ariane and company carry through on their promise to Orphan and go with him to a mysterious destination in the depths of the Arena; PRINCESS HOLY AURA: One of those things that I was sure Baen wouldn’t touch in a thousand years, Princess Holy Aura is the first in what will hopefully be a series called “The Ethical Magical Girl,” which will examine the Magical Girl or Mahou Shoujo genre from a written novel perspective, with a hopefully unique point of view. VENTRELLA: Let’s talk about PHOENIX IN SHADOW. Tell me what that is about! SPOOR: PHOENIX IN SHADOW continues the adventures of Kyri Vantage, last Justiciar (holy warrior) of the dying god Myrionar, and her companions Tobimar Silverun (voluntarily exiled prince of Skysand in search of his people’s original homeland) and Poplock Duckweed (intelligent Toad with a nose for trouble) as they try to discover the true source of the corruption that destroyed the other Justiciars and is apparently connected with worldwide attacks on other countries. They must enter the dark and terrifying Rivendream Pass to a place said to be filled with monstrous creatures and evil, Moonshade Hollow. But what they find there is something utterly beyond their expectations … and a trap that they cannot imagine. This is a story I started writing back in 1991, and have been waiting to tell ever since. I think PHOENIX IN SHADOW is a better book than PHOENIX RISING was, and PHOENIX ASCENDANT may be better yet. One thing any reader can look forward to in PHOENIX IN SHADOW is that you finally get a look at what I call a Dragon. SPOOR: Kyri Vantage is the Phoenix Justiciar (all the Justiciars have bird-themed armor and names), and you’ll get some of that imagery too, although her real “Phoenix” scene is in the next book.